New iPhone firmware update is now available for download. 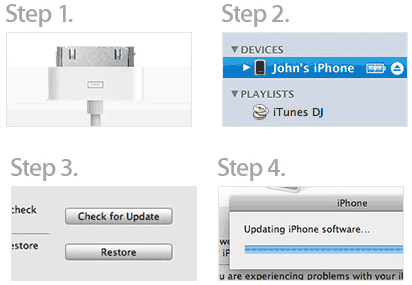 We have already seen new features listing of this new iPhone 3.1 firmware software update. Users who have OS 3.0 can install this new update to their devices and enjoy all new features / enhancement. Here is easy way to install this update. 1. Download latest iTunes 9 on computer & connect your iphone to PC. 2. In iTunes window, select your iPhone under devices on the left. 3. In the iPhone summary window, click “Check for Update” button. 4. Then click Download & install and complete the update install.